If you are using Dragon Medical in your clinic, or are thinking about it, do you know how you’re going to manage the application in all of your exam rooms? In this article, we’re discussing best practices for using Dragon speech in multiple exam rooms. During this discussion, we’ll review each of the major points you’ll need to address, so that you can decide what works best for you. Ultimately, when deciding how to use Dragon dictation in your clinic, there are two areas of consideration. You’ll need to think about what you and other providers need, review our tips, and then choose how you want to deploy Dragon profiles and microphones. Before we proceed, let’s talk about the application itself. For the purposes of this article, we are reviewing strategies that can be implemented using Dragon Medical Practice Edition 2. If you have a different version or edition of Dragon, some of these suggestions may not apply, and some features may not be available. Dragon Medical Practice Edition 2 requires you to have a license for every user. That being said, a single provider can install Dragon Medical on four computers without special authorization. Nuance will allow you to increase this number, but at their discretion. In our experience, the number of installations for one Dragon Medical license maxes out at ten—but, again, that’s up to Nuance. In order to get your license approved for additional installations, please contact your Dragon reseller. The tips we provide here are going to benefit clinicians who have multiple computers in multiple exam rooms. One simple way to get around this problem is just to have a laptop that you take from room to room. The application will install on laptops just fine; but, if you have a Windows tablet (or are planning on buying one), talk to your Dragon reseller first. Laptops and tablets usually have slower processors and less RAM than workstations. Be sure your computer meets the Dragon Medical Practice Edition 2 system requirements. Doctors often ask us which laptop to purchase. Given that this is your only Dragon computer, we recommend a 3.0 GHz i5 processor and 8GB of RAM, to minimize dictation delays and allow you to use multiple applications with Dragon. Some of you may be familiar with a program called Dragon Medical Network Edition. While this application is very similar to Dragon Medical Practice Edition, there are some key differences—differences that bear directly on the topic we’re discussing today. At this time, we do not service Dragon Medical Network Edition installations. If you need assistance or advice, please contact your Dragon reseller or Nuance. If you’re ready to get started, and you’d like one of our Dragon technicians to assist you with your clinic setup, click the button below. After you purchase one of our technical services packages, you can schedule an appointment around your availability. If you didn’t read our article on Dragon profiles—and you aren’t sure what a profile is—you’ll want to take a few minutes to review it. Knowing how profiles work is a big part of understanding Dragon deployment in a multiple exam room scenario. In a nutshell, your Dragon dictation profile contains everything you need for voice recognition—aside from the program itself. All of your voice data, configurations, custom words, templates, sources, and vocabularies are a part of your profile. Though it is possible to create a new profile for each computer, none of these profiles will share information between them. This is outside of best practices, but the option is there if you need it. For this article, we’re going to focus on two ways to share your Dragon profile between multiple computers. Let’s break this down a little more. Say you’re using three computers, but you tend to dictate with Dragon on one workstation more than the others. You might call that your “master” Dragon profile, and copy it over to your other two computers once a month. Keep in mind that any time you do this, you will be overwriting any profile data on the other two computers. In this configuration, anything you added to your Dragon profile on the “non-master” computers will be erased. In other words, it’s important that if you use this strategy, you’ll want to create templates and add words on the “master” Dragon installation. If you don’t know how to copy your voice profile to other computers, check out our article on importing and exporting Dragon profiles. Here’s where things get a little more advanced. 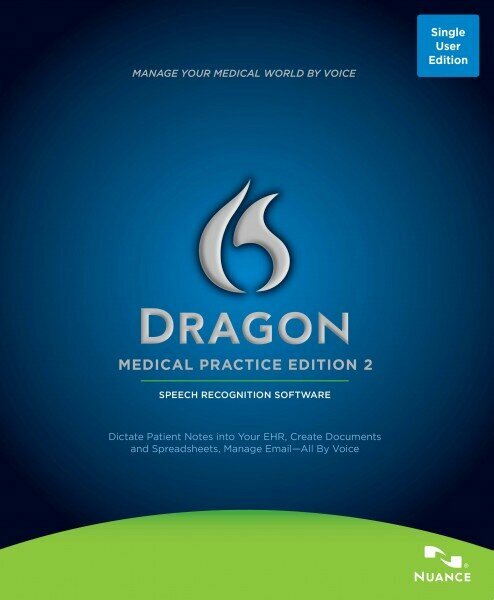 Dragon Medical Practice Edition 2 has a feature called roaming that allows you to have one voice profile across multiple computers. This saves you the trouble of having to export your profile from one computer to another, and you don’t have to keep track of where you are adding your templates and custom words. Instead of having a master profile on one of your computers, creating a roaming profile on the server enables you to open it from any Dragon workstation in your network (after configuration). You will be storing your Dragon profile in a shared folder on the server. Every installation of Dragon that you want to have access to that profile needs to be configured for roaming and pointing to that folder. Every computer that needs your roaming profile should have access to that server location. You cannot open your Dragon roaming profile on multiple computers at once. This is different from local profiles, which can all be open simultaneously—because they are not connected. You should have a stable network connection that can transfer your profile from the server to your workstation and back. Consult with your IT team about your network specs. If the server goes down, you cannot access your profile. There are workarounds you can perform if this happens, which may require IT support. When it comes to deciding what you want to do about microphones, there are a few considerations to make. Before you proceed, though, ensure that you are using a microphone appropriate for speech recognition. Now that you have reviewed the list of Nuance-approved microphones, we’re ready to talk about the various microphone setups you can use in your exam rooms. How Many Microphones Do I Need? Depending on your budget, convenience factors, and number of providers, you will either opt for one microphone for everything, or a mic in each exam room. Please note: Each purchase of Dragon Medical Practice Edition 2 does include a basic USB wired headset. It’s possible that you could have enough of them to put one in each exam room. They have a 7 ft. cable, so you will need to stay close to the computer for voice dictation. What Kind of Microphones Should I Buy? A wired mic will limit your ability to move away from your computer, but it is physically connected. This means you won’t have to worry about Bluetooth pairing. It also means that it’s harder to lose the microphone. If you want a recommendation, both the Nuance PowerMic and the Philips SpeechMike Premium are our favorites. Wireless microphones are great for being able to move around the exam room—but they still require a connection to the computer. They will have to be paired with each workstation as you move from one room to another. The Dragon Remote Microphone app is a free smartphone app that you can use to dictate into your EHR. It works much like a wireless microphone, and carries the same caveat. You will have to pair the Dragon app with each computer you move to—every time you change rooms. We hope these tips helped you decide how to implement Dragon voice-to-text in your exam rooms. But, if you still have questions, we’d be happy to provide you with a free consultation. In addition, we perform installation services, Dragon training, and technical support—so don’t hesitate to contact us for more information.